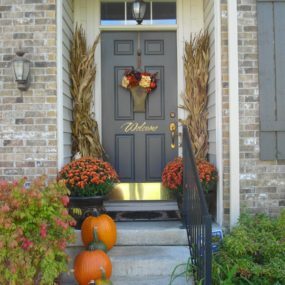 Fall is the perfect season to decorate the outside and inside of your home. 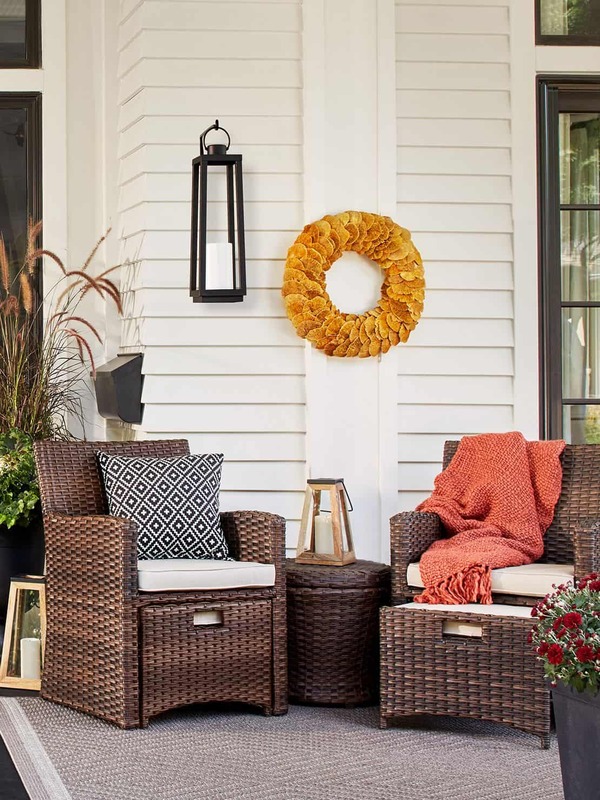 In fact, some may even argue that it is the best season to decorate the outside of your home because of the endless amount of options and trends available. This fall season is no exception! 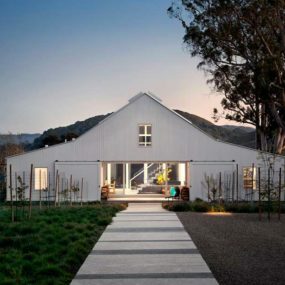 We have noticed multiple different outdoor trends that are making a huge impact this season. 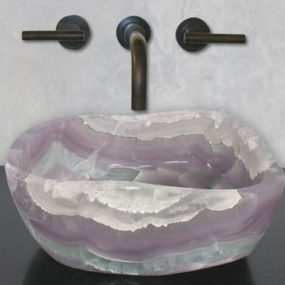 Here are some of our favorites that we are loving and we think you should incorporate into your home décor today. Creating an impact does not need to be as challenging as you may think in all perspective it is quite easy. Color is the ultimate way to do so. Choose different plants that work well with your wreaths if you decide to have one. 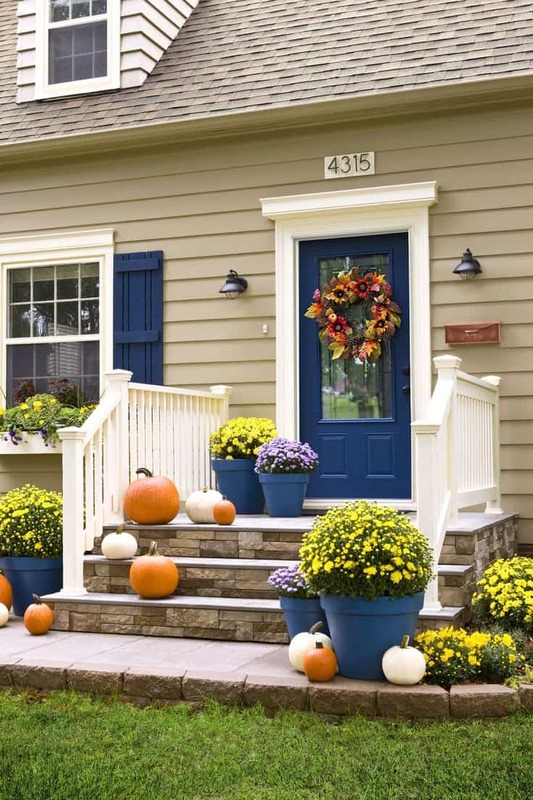 You may even want to consider adding pumpkins for a bright addition. 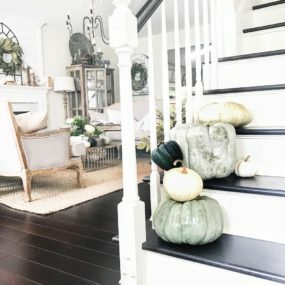 Creating an impact with your décor in the fall is not a difficult task because of the many different colors and décor options that are available. However, for your outdoor space, you want to create an impact with bold and colorful fruit, flowers and leaves. Color is huge this fall season so you want to have bold yellows, reds, oranges, and even brown shades in as many places as possible. Comfortable and cozy seating is one of the best ways of having guests and even yourself to want to sit outdoors. 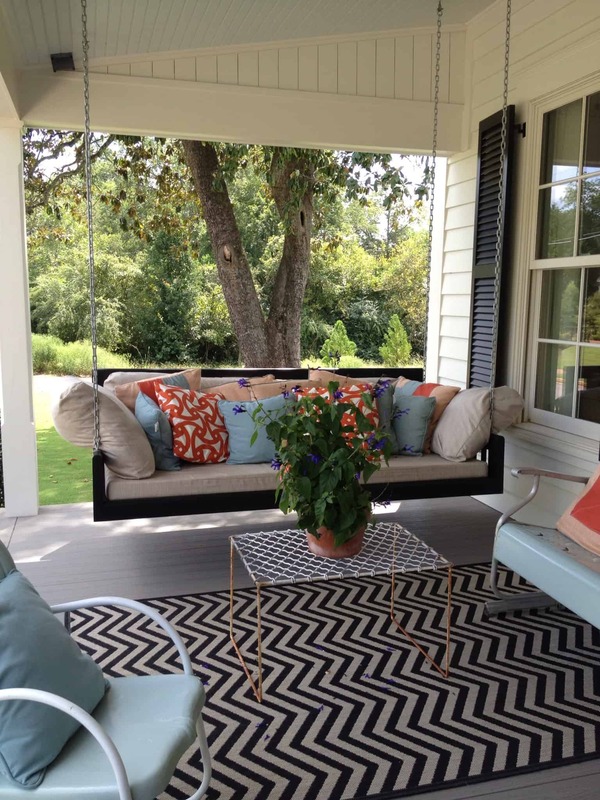 Adding an outdoor swing is an excellent way of getting the most out of your outdoor space. It brings beauty as well as childhood nostagia all at once. If you want to be bold and bring more of the inside feel outdoors add a rug. 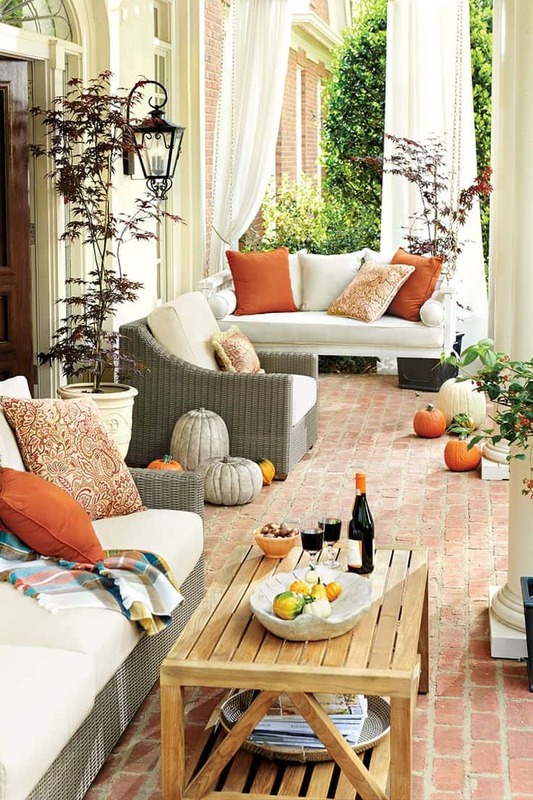 When setting up your outdoor space think about cozy seating. You want to create a space that makes you want to stop and sit. Set up your furniture in a way that it evokes your guests and even yourself to want to sit outside more often. This can be done by using comfortable chairs, and an accent table. You may also want to incorporate a blanket or two for the crisp fall air. Rocking chairs come in multiple different colors and even styles. However, if you want to add an extra layer of comfort as well as beauty add a few throw pillows in a multitude of patterns. 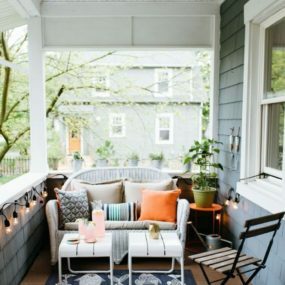 Doing so will give you beauty, comfort, and boldness which is great when you want to revamp and upgrade the look and feel of your outdoor space. Rocking chairs have always been a fall favorite in our opinion, but this year they are actually on trend. 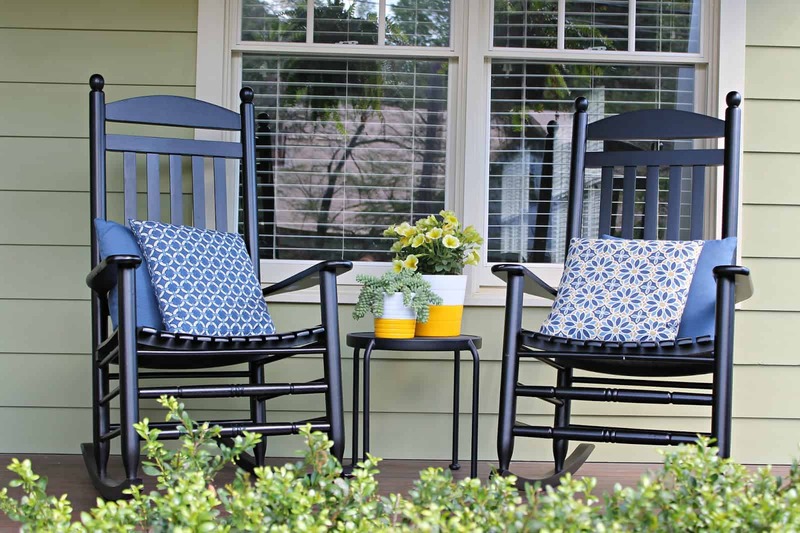 Create a nostalgic feel by having rocking chairs become a part of your outdoor space. Add decorative pillows to the rocking chair for an added comfort bonus. The best part about having a theme is that you have the ability to unleash your creativity. The more creative you get the better it will be for your creative space. Consider using multiple different elements to achieve the perfect look for you including lights. You want to add different lights to create a bold appeal. Choosing a theme for your outdoor space may not seem like the easiest thing to do because of how many options there actually are. However, choosing a definitive theme could your outdoor space seem more cohesive. When selecting your theme of choice, consider the color scheme you want to use. Do you want to be bold and festive? Or soft and neutral? The color orange comes in multiple different shades from bold and bright to muted and rich. This is excellent because it gives you lots of room to work with. You can add different patterns as well for a bold take on the trend. Consider having small pieces in orange as well such as flowers, table items and even a few pumpkins here and there. You can never go wrong using orange in your fall décor. The color orange itself screams fall and Halloween. Therefore, incorporating it is pretty much a must. However, there’re so many different shades of orange you will have no problem selecting the shade that works best for you. Pops of color are great to add on the outside and inside of your home. This is especially true when it comes to using bold and bright tones such as orange. 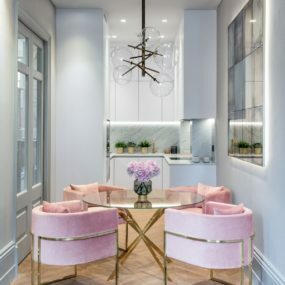 Instead of having your typical neutral tone chairs to match your neutral tone table add bold chairs that make a statement. When it comes to adding color, colorful furniture is your best friend. Colorful furniture may not be as popular, but it is an excellent option and a huge trend this fall. In fact, more and more homeowners are loving the idea of having colorful pieces that bring the entire fall feel together. Add a few colorful chairs and/or accent tables to enhance what you already have or to give your outdoor space a completely new look. Take indoor items and bring them outdoors for a cozy outdoor upgrade. Use multiple different elements to enrich the space such as blankets, pillows, and even an accent table. Add lighting for an intimate feel that is an extension of the inside of your home. 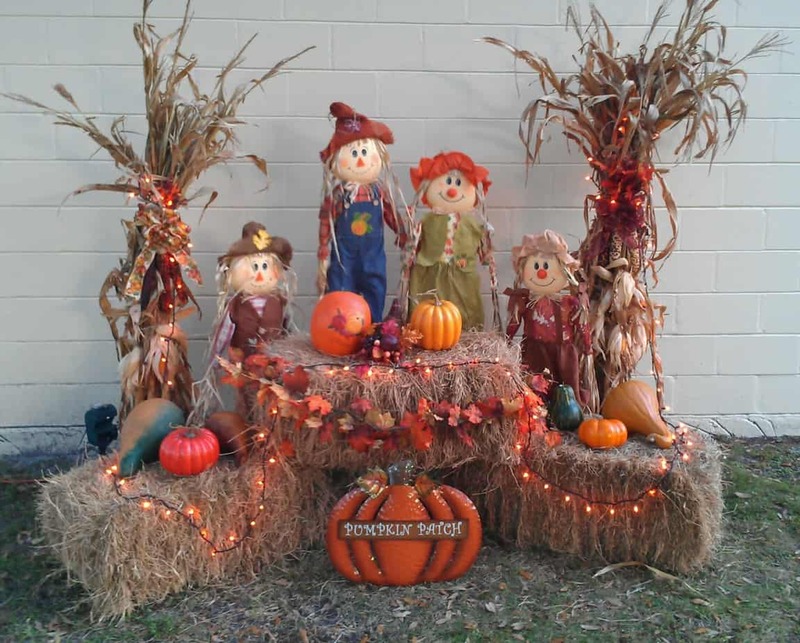 Take your cute indoor fall décor display and create the same feel outdoors. It is very on trend this season to bring your indoor décor outdoors. The idea is to have the same cozy feel that you have inside outdoors. You may want to add a seating bench with a few throw pillows or even have outdoor lighting for a warmer take on this trend. 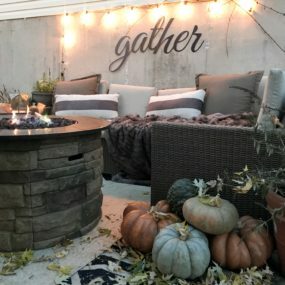 A rustic feel is one of the very best ways to add fall vibes to your outdoor space. It is easy to incorporate and looks great paired with multiple different decorations including fall essential pieces. Add little hints of Halloween here and there for an interesting twist. Rustic is always one of those classic trends that seems to never fully go away and this season is no exception. Add in rustic friendly décor pieces to give your outdoor space a hint of rustic feel without going overboard. We recommend adding pieces that are fun and scream rustic while still being simple and easy to pair with other decorative pieces. Halloween is the epitome of fall. 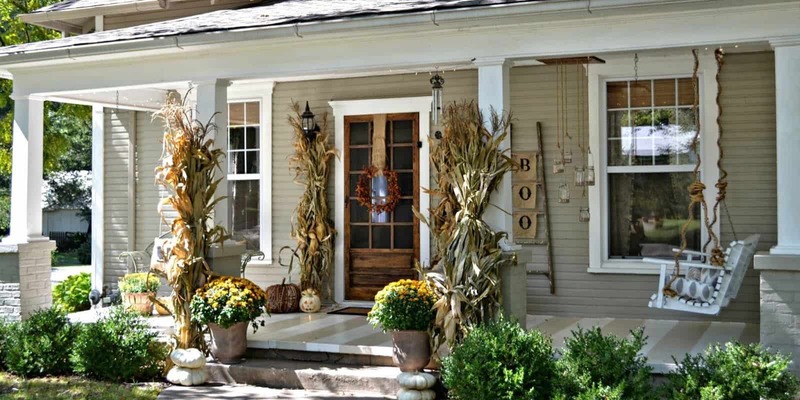 The crisp air and changing leaves create the ultimate space for Halloween decor. Add the traditional colors such as black, purple, and orange for the ultimate Halloween feel. 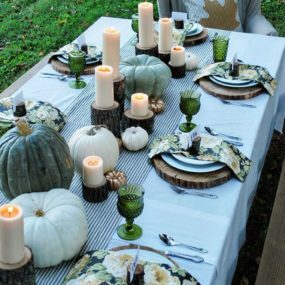 You can add pumpkins, candles, and even gory decor that will make the ultimate Halloween adventure right in your outdoor space. When in doubt, add Halloween into the mix. However, not just any Halloween décor will do. You want to add bold and spooky decorative pieces that scream Halloween. 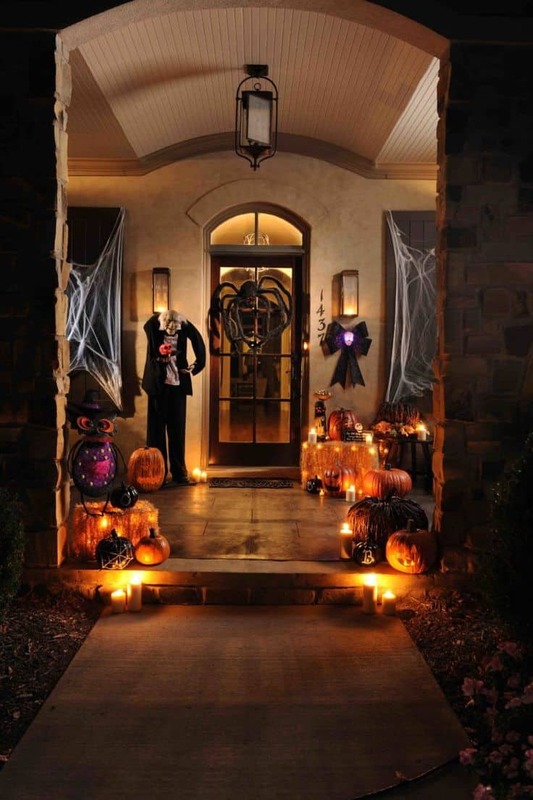 The idea is to bring the Halloween feel right to your home. The spookier it is, the better. White is classy, elegant, and can be traditional when it is done properly. 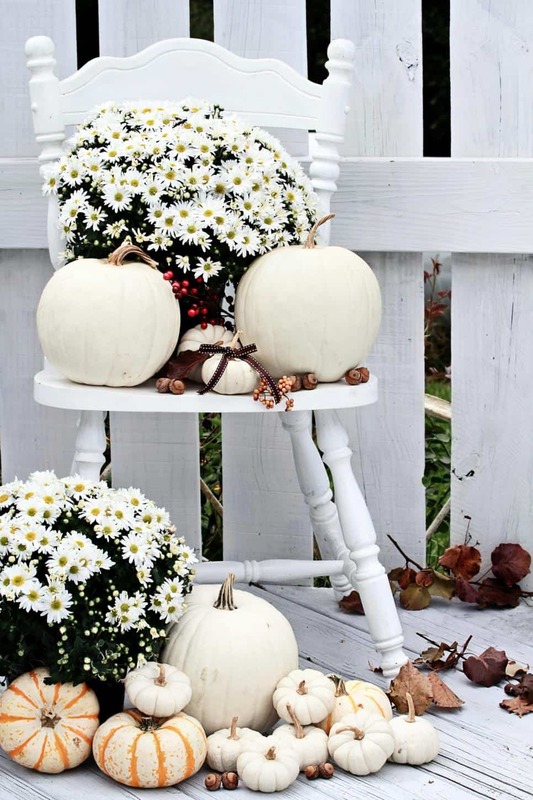 Take your pumpkins and paint them white for an elegant twist to a fall tradition. You can also consider flowers that are in season for an added touch of freshness while still being very fall like. White can sometimes be considered an additional color. However, when it is done properly, it can become the IT color and that is the case for this season. This may be a bit difficult to do as fall is filled with rich and bold colors. However, you can always consider painting pumpkins, white or even having small furniture items painted white as well. 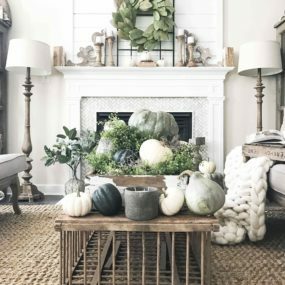 Fall is here and we couldn’t be more excited about this season’s décor trends. Let us know in the comments below which trend you want to use in your home.